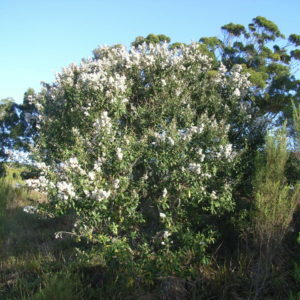 The Camphor bush may form a dense bushy shrub or a small tree, often with a contorted trunk. 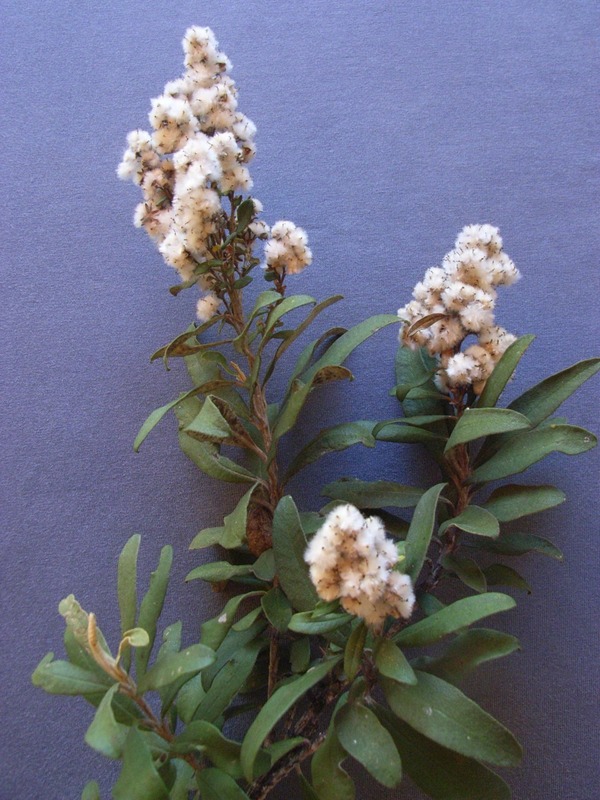 The leathery grey-green foliage has an aromatic camphor-like smell. Terminal sprays of small creamy flowers are followed by tiny fruits covered in what looks like cottonwool.